Salt making was possibly the largest single industry around the Wash during Iron Age times and it certainly flourished throughout the Roman period and into the 17th century. Salt making was practiced all around the east coast with some very extensive workings in Essex known as the Red Hills. Here around the Wash in West Norfolk and Lincolnshire the system used was to collect two to three centimetres of silt from the surface after the high tides. The silt was then placed on a filter bed possibly of peat and more sea water was passed through the silt until brine with the right specific gravity had been obtained, possibly by using a fresh egg as an indicator. The brine was then boiled to drive off the water to leave the residue of salt. 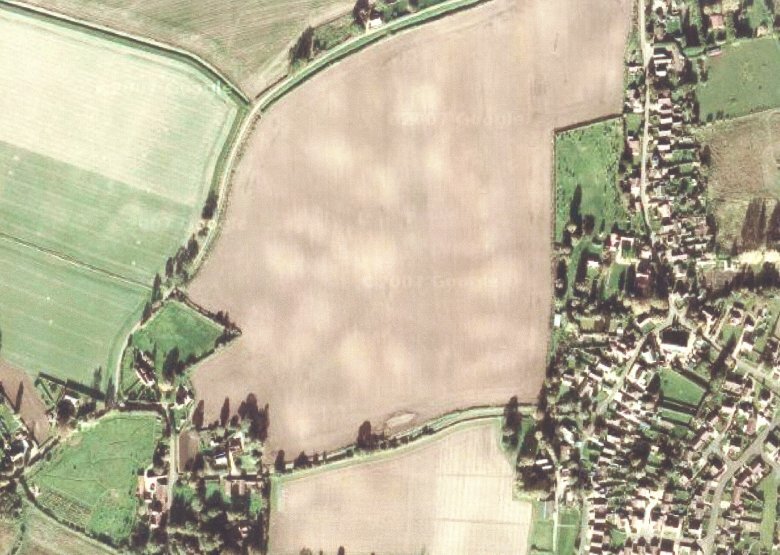 The quite large mounds of silt from the spoil can be seen through out the area. Some of the spoil heaps are now in built up areas and not so easily seen but they provided firm ground for development. St Margaret’s church at King’s Lynn stands on one of these spoil heaps as do the churches at Clenchwarton and Terrington St.Clement. Another fine example is the church at Gedney in Lincolnshire. All the salterns would have had turbaries (peat workings for fuel) somewhere in the adjacent fen. The villages of Marshland used their shared common at the Smeeth just south of Terrington St. John to collect their peat for fuel to boil the brine, also to cut reeds which were used to protect the salt working sites from summer rains which would have dilute their brine. In the late sixteenth century the village of Terrington St.Clement was producing one ton of salt each year. Most of the salt they produced went to the Bishop of Ely and later to Queen Elizabeth I who by 1581 had acquired the lands of the Bishop. In Terrington St.Clement the Bishops salt was commuted to a monetary tax. This tax was known as the Little Moll and the Great Moll and was collected by someone called the moleman. There is an account of proceedings in the 16th century at Terrington to find out where the salt taxes had gone. They should have originally been delivered to the Dean and Chapter at Ely and later to the Queen but in the later half of the 16th century these monies had never been delivered to the intended recipient. Local names indicate where salt was being produced such as Salters Lode near Downham Market and Salters Road at King’s Lynn. Many of the salterns had names as in Terrington, Pope’s Hill named after a person. The name Pope occurs in the saltern records of Newton near Wisbech, possibly the same family. Other saltern names Cobbs Hill and Brellows Hill have been retained as road names at Terrington.